The writer S.F. Said, who I hugely admire both as an author and a general all-round nice person, recently kicked off a campaign aimed at encouraging journalists, bloggers, other writers and any interested parties to #CoverKidsBooks – in other words, to afford kids’ books the same media coverage offered to books written for adults. Why, you might ask? Well. Why not? In the UK, kids’ books occupy 30% of the total book sales market yet they attract only 3% of the media coverage, and that is largely in specialist supplements and publications aimed at people interested in the field. Since S.F.’s campaign began this has started to change, but there is still much to do. It can be hard to find the ‘right’ book in the torrent of published titles. Children themselves may be attracted to popular books, ones their friends or classmates are reading, or ones written by famous authors. Some books, not always the right ones for a particular child, will always rise to the top of the pile and some – among which may be neglected gems – will unfairly sink without trace. A story which might have changed a life or given a child something to strive for, or indeed simply something to laugh at, might be missed. Parents, grandparents, aunts and uncles and godparents and family friends who wisely choose to give books as gifts to the little people in their lives, might be utterly lost as to where to look for inspiration. I can’t count how often I’m asked for my advice – and while I love helping out, not everyone knows a person like me, who has some vague knowledge of the broad and wondrous world of children’s literature. Reviews of kids’ books in major newspapers, for one. Interviews with authors, features on children’s literature and issues relating to the important topics covered in the ‘Books of the Week’ would also be good. And proper coverage of award-winning books, like the mighty Frances Hardinge and her Costa Book of the Year 2016, The Lie Tree – the first children’s author to win since Philip Pullman, many years before. The coverage I saw of this momentous win was more like bemused, polite wonderment, slightly patronising praise, and some downright rude questioning of how on earth such a thing came to pass, rather than a celebration of a great book justly rewarded. I wonder how many of these journalists and commenters had even read the book. We need to #CoverKidsBooks on the radio, on social media, in traditional media, on the television, and get it going as a topic of conversation. An adult looking for a gift should know straight away where to find advice and recommendations. 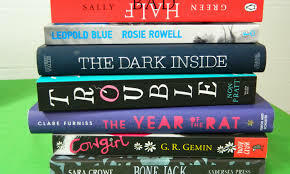 A child looking for their next read should have no problem finding just the right book for their needs, and should be able to access a library (with knowledgeable staff) and/or a bookshop (also with knowledgeable staff) without trouble. Children’s books are so important, and within their covers they contain multitudes; worlds full of magic, imagination, heart and intelligence, tightly plotted and expertly written stories of love, loss, adventure, danger, exploration, and discovery – to name just a fraction of the treasures you’ll find if you look – and they deserve to be respected. There are just as many talented and hard-working people writing children’s books as adult titles, and as well as that, children’s books are most definitely not just for children. Children’s books, and books for young adults, also have a largely undeserved reputation for being simplistic and unchallenging, which is maddening to me and anyone familiar with the field. They cover every topic you’ll find in the ‘classics’, and in the adult books which hog all the attention, and in most cases they’re written with more flair and verve and – frankly – excitement than even the best stories for grown-ups. There are some duds out there, of course, but the very best children’s books shine with an incandescence that very few adult books can match. It’s time for children’s books to step into the spotlight, and claim their rightful laurels. We can all help by following the #CoverKidsBooks hashtag, asking our local librarians and booksellers to help make children’s books more visible, and asking for greater kidlit coverage in newspapers, radio and online – and creating our own content when we can. Let’s all do our bit, and enjoy watching children’s literature soar. This entry was posted in Musings and tagged #CoverKidsBooks, children's books, Costa Book of the Year, Frances Hardinge, kidlit, S.F. Said, the importance of children's literature, The Lie Tree on March 6, 2016 by SJ O'Hart. The Black Book of Secrets, F.E. Higgins’ debut novel (first published in 2007 by Macmillan Children’s Books) is a strange beast. It’s one of those books which grips the reader so hard at the start that you read on in a frenzy, desperate to find out what happens – but then, things sort of lose their momentum three-quarters of the way through. 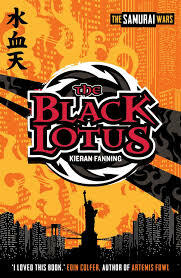 This is a real shame, because the book is so richly imagined and written – Higgins’ style reminded me of Frances Hardinge’s, in several places, and it’s unsurprising that they share a publisher – but for all that, I found myself vaguely disappointed with it, overall. There’s a lot to love about the book’s opening. We meet Ludlow Fitch, a street urchin who lives with the most horrendous ‘Ma’ and ‘Pa’ imaginable, gin-fiends who think nothing of attempting to sell their son’s teeth (ripped unwillingly from his head!) to fund their drinking habits. Ludlow is accosted by his parents, dragged into a cellar, and faced with a terrifying ‘dentist’ bearing a large pliers, who is ready to relieve him of his chewing equipment – until, of course, he bravely fights his way to freedom, desperately clinging to the side of a passing stagecoach as it leaves the City in which he has lived his whole, miserable life. The coach brings him to the town of Pagus Parvus, where he fortuitously meets a mysterious man named Joe Zabbidou (the names of the characters and places in this book are a delicious, word-lovers’ marvel), and he soon falls under Zabbidou’s wing, becoming his assistant. Ahem. Well, it appears that Joe Zabbidou makes his ‘living’ (if you can call it that) by buying people’s secrets. He is a Secret Pawnbroker, which is to say not a pawnbroker whose shop is hard to find, but a pawnbroker who pays good money for the deepest, darkest shreds of guilt in every human conscience. He asks people to tell him their secrets, and then Ludlow writes them down in the eponymous Black Book. What for? We don’t know. Where does he get the money to pay for all these secrets? We have to wait (a long time) to find out. How does a half-literate Ludlow suddenly become Zabbidou’s scribe, faithfully and quickly transcribing everything he hears? Er… well. Next question! And this is the problem – or, one of them – with the book; too many unanswered questions. There’s a nifty conceit behind the story, which is this: Higgins inserts herself into her own novel, pretending to be a person who came across the fragmentary remains of Ludlow Fitch’s memoirs (she does, in all fairness, say that she corrected Ludlow’s dreadful spelling throughout, but I still don’t think this explains his ability to write so accurately), filling in the gaps with her own imagination to tell his and Joe Zabbidou’s story, but I wondered if this was necessary. We’re left wondering why Ludlow wrote his memoirs, for what purpose, why they ended up in a hollow wooden leg (the significance of which isn’t explained, but there is a sequel to this book, so it may well appear there), and what on earth made him so attractive as an apprentice to Joe Zabbidou. For one of the things I didn’t enjoy about this book was the fact that I didn’t have strong feelings, either way, about Ludlow himself. He’s an observer throughout, who – at least, to my mind – could have been lifted out of the plot without any discernible effect. He doesn’t do much (besides his breathtaking, and brilliant, escape at the beginning), and he sounds like an elderly Dickensian character throughout. Having said that, the language is fantastic, and the imagery is memorable, and the rhythm of the sentences is perfect, and the dialogue is sharp and witty, and I couldn’t fault the way this book was written – it gladdened my word-loving heart. F.E. Higgins is certainly a great writer. I loved the way this book was written, and the world it created. I loved the descriptions of the City and Pagus Parvus, the houses and the foodstuffs and the clothes and the cobbles in the streets. I loved the details lifted from history – the Resurrectionists, the suspicion about where the meat in your pies was coming from, the fear of being buried alive – and I even liked the overall point behind the plot, that of the ineluctability of fate itself and how the smallest decision, or the smallest character, can be an instrument of Destiny. But because I couldn’t warm to Ludlow (he didn’t give me a lot to warm to), and the plot was somewhat meandering, and the religious symbolism was a little overdone, I think this book would be a middle-ranker, for me. Certainly, it’s worth reading for the richness of the language alone, and it’s a masterclass in subtle but effective description – but I can’t help feeling it could have been more. I’ve read synopses of Higgins’ newer series, The Phenomenals, which sounds, well, phenomenal, and so I think I might be inclined to try those next. 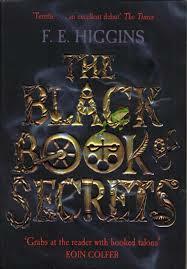 Certainly, I don’t think the sequels to The Black Book of Secrets are for me, but I haven’t given up hope yet! This entry was posted in Book Reviews and tagged book review, book review Saturday, children's books, F.E. Higgins, Fiona Higgins, historical middle grade fantasy novels, Joe Zabbidou, Ludlow Fitch, Macmillan Children's Books, middle grade fantasy novels, The Black Book of Secrets on April 11, 2015 by SJ O'Hart.